The Kurdish experiment in democratic autonomy in Syria is now under grave danger from the Al Qaeda affiliated Al Nusra Front and other Islamist factions who are waging an increasingly ruthless campaign of violence and mass killing. This onslaught is threatening to demoralise civilians in the Kurdish controlled region that has remained relatively peaceful since the start of the civil war in Syria. The action is encroaching on the autonomy exercised by the Kurds in their own region of Western Kurdistan as the central state in Damascus, preoccupied with uprisings elsewhere in the country, lost its control. In the latest outrage committed by the well-funded and well-resourced al-Nusra Front, it is reported that a massacre of 120 children and 330 women took place when the militants from the group launched a brutal attack on the town of Tal Abyad close to the Turkish border. This horrific massacre allegedly took place on Monday 5th August. Commenting on the reports, the UN Human Rights office in Geneva said it was investigating and if it confirms the massacre, it would consider this to constitute a war crime and seek to ensure that the perpetrators are brought to justice. While the veracity of the reporting of this incident has not been fully verified by independent sources, the news is deeply disturbing and highlights the threat currently facing the Kurds in Syria not only from militant Islamic forces but from the ambitions of Turkey which is seeking to extend its influence in the region and is alarmed by the achievement of democratic autonomy won by the Syrian Kurds. What is certainly not in any doubt is the bloody onslaught waged by the al-Nusra Front, which appears to have been stepped up over the past few days. According to the PYD the assaults by Jabhat al-Nusra and the Islamic State of Iraq and Syria began on 17th July with brutal attacks on ‘’neighbourhoods in Tel-Abeyd, Serekaniye, Tel- Aran, Tel- Hasel’’. Civilians continue to be subjected to killing, kidnapping and shelling with heavy weaponry; homes are looted and destroyed in an attempt to force people to leave their properties and land. Since 29th July, according to the PYD, the Kurdish towns Tel-Aran and Tel-Hasel and its villages of Aleppo, have been under brutal attacks and massacred, with hundreds of innocent Kurdish children, women and elderly people murdered and ritually beheaded. In addition, hundreds of civilians have been taken hostage and their fate still unknown and thousands civilians forcibly fled their homes in horror at the violence from these armed terrorist groups, according to the PYD. The PYD continues, stating that so far ‘’hundreds of Kurdish civilians have been kidnapped, tortured and their houses have been looted and burned down. These ongoing brutal massacres are targeting all Kurdish civilians in Qamishli, Kobani and Afrin areas,’’ the party warns, appealing to the international community for urgent action. The UN, US and EU must help to stop the ethnic cleansing and brutal massacres and work towards a comprehensive political settlement that respects the rights of all the peoples in Syria. What also needs intense scrutiny is the role of Turkey in fuelling the conflict in the Kurdish part of Syria. Despite Turkish official denials of giving support to groups like al-Nusra, Turkey’s claims to be totally uninvolved cannot simply be accepted without question. There is also the issue of cross-border arms supplies coming from Turkish territory to these militant groups. These issues need to be investigated and stopped immediately. Turkish officials might well be prepared to enter into talks with Salah Muslim, the PYD leader, but this does not mean that Turkey has ceased in its attempts to undermine the integrity of the Kurdish position inside Syria given that Turkish leaders have long been alarmed by the self-government exercised by the Kurds in the country since the outbreak of the civil war, fearing that its example of freedom and democracy will spread to Turkey itself. It appears that the Al Nusra rebels, whose leaders have openly pledged support for the Al Qaeda chief Ayman al-Zawahiri, are intent on destabilising the Kurdish region and dragging the Syrian Kurds into the violent conflict which they have successfully resisted so far. As an alternative to the bloody uprising, which to date has claimed some 100,000 lives, the Syrian Kurds led by the PYD have put forward detailed and constructive proposals for a peaceful democratic transformation of Syria that preserves the ethnic diversity and secular character of the country. These proposals need to be more widely supported as they lay the basis for a way forward for Syria. The Kurds have defended the rights and freedoms of all the communities within the Kurdish controlled region, repudiating sectarianism as utterly alien to their progressive democratic principles. This enlightened Kurdish position stands in stark contrast to the divisive targeting of minorities and the deliberate ethnic cleansing carried out by groups like al-Nusra which is now tragically being extended to Kurdish villages formerly living at peace. Peace in Kurdistan supports the proposals for a comprehensive peace settlement in Syria put forward by the PYD and supports the right of the Kurds in Syria to exercise democratic self-government in the region. 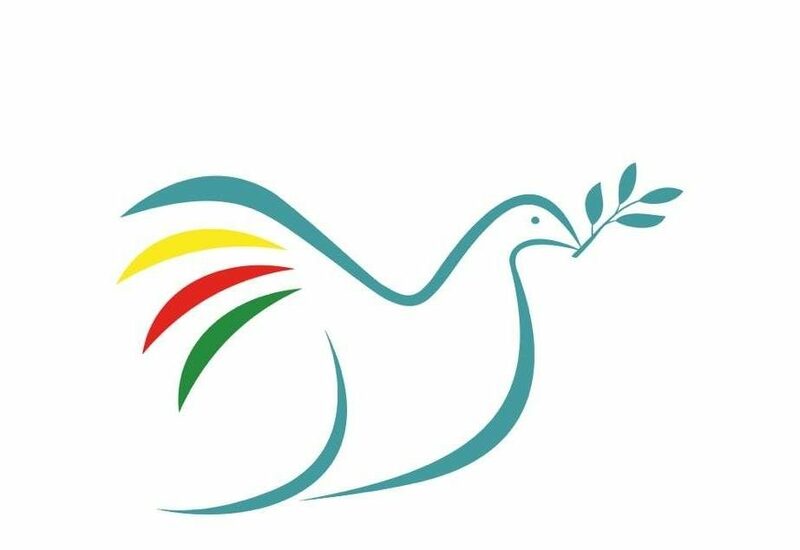 Peace in Kurdistan calls for the release of any civilian hostages held by rebel groups and urges an immediate halt to the arms supplies to these factions who are turning their weapons on innocent civilians and carrying out war crimes. A team of experts needs to visit the Kurdish area to verify the report of this massacre, to compile evidence that will bring the perpetrators of this heinous act to justice. It is clearly a war crime to murder unarmed civilians and the manner of the killing has been shocking in its barbarity. Unarmed civilians are clearly facing a desperate situation and an urgent threat to their lives. We urge you to respond to the emergency appeal to defend the Kurds in Syria. They stand for the values of peace, freedom and democracy for all the peoples of Syria that the international community itself claims to uphold. The Kurds are calling for our support. We should not let them down.